Astronomy Lovers, this is your year! A “blood moon” is essentially a poetic name for what’s called a “total lunar eclipse” that occurs during a supermoon. On an ordinary day, the moon gets its shine from direct sunlight reflecting on its surface, but during a lunar eclipse, the moon moves through the Earth’s umbra (the darkest and most central area of Earth’s shadow). During this time, the Earth, moon, and sun are almost perfectly aligned. You’d think this would make the moon go completely dark, but instead, the moon gets illuminated by indirect sunlight. The first full moon in January is typically known as a “wolf moon”; however other cultures may have different names for each month’s full moon. North and South America should have a great view if clouds don’t get in your way. NASA projects the total eclipse duration at about 1 hour and 2 minutes. 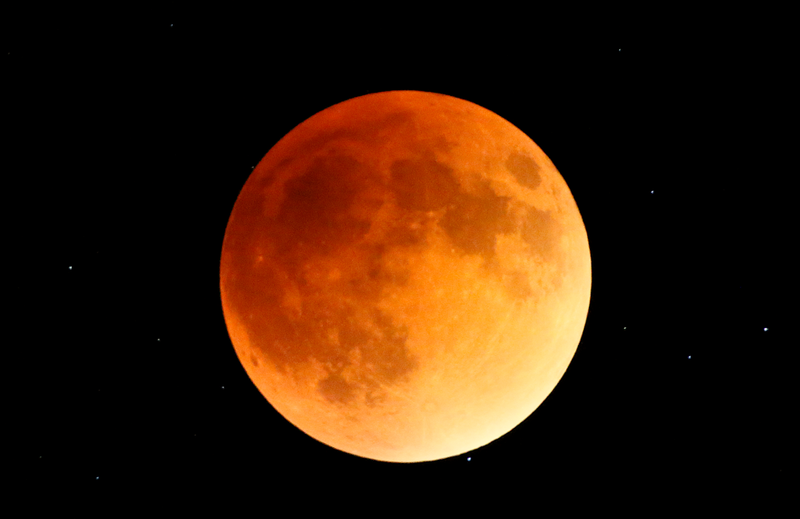 The peak, in Oregon, is expected at approximately 9:12 pm PST (or 12:15 am EST), according to Space.com. No special equipment will be necessary to view the eclipse, just find a dark, clear, uncluttered bit of night sky, then sit back and enjoy the show. For those of you who go to bed early, you’ll have to wait until 2021 to see the next one. The Cove Palisades State Park will have summer programs highlighting some of the years special astronomical peaks beginning in May – Check out the Programs Tab to join us! Prineville Reservoir State Park, just an hour east of The Cove, boasts the darkest night sky in Central Oregon. This is the 20th annual, Star Party which will be all day fun for the whole family. Check http://www.oregonstateparks.org for more information, coming soon. Also, visit the Oregon Observatory at http://www.oregonobservatory.org for telescope stargazing that is out of this world!